The Formal Lecture Series is a comprehensive, in-depth 60-hours exploration of the entire classical Pilates method. It is uniquely designed for both students and teachers of the Pilates method who wish to expand or refine their knowledge of the complete system and discover its full scope and power. It covers every exercise in the method, from beginner level to super-advanced, and includes all equipment utilized in the Pilates method – Universal Reformer, Cadillac/Trap Table, Mat, High/Electric and Low/Wunda Chairs, all Barrels, Ped-O-Pul, Foot and Toe Correctors, and Magic Circle. Each workshop also explores applications for injury rehabilitation, modifications for all levels of ability, safety issues and much more! Amy Taylor Alpers co-founded The Pilates Center (TPC) and The Pilates Center Teacher Training Program (TPCTTP) over 20 years ago in Boulder, Colorado. When not traveling the world to teach both foundational and graduate level Pilates teacher education she remains part of the core faculty for TPCTTP, mentors advanced teachers, teaches classes and sees clients. In addition to teaching TPC sponsored workshops, Amy has presented numerous times at the Pilates Method Alliance Annual Meeting, Balanced Body’s Pilates on Tour and Passing the Torch. In 2013, Amy presented at the Shared Traditions Conference for Fletcher Pilates and will present at The Pilates Roundtable. Amy was born in Youngstown, Ohio where she began classical ballet at age two. She attended The Juilliard School for Dance, danced with the Garden State Ballet in New Jersey, and received a B.A. in Dance and a M.A. in Dance History from New York University. In addition, Amy taught ballet at various dance schools in New York City for ten years before launching her Pilates career. Both Amy and her sister Rachel studied Pilates under the direct tutelage of Romana Kryzanowska at the original Pilates Studio in New York City. They received their Pilates teaching certificate from there in July of 1989. 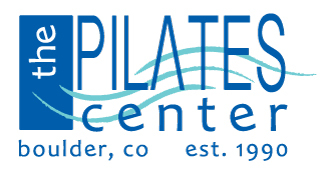 In 1990, after moving to Boulder, Colorado, Amy and Rachel founded The Pilates Center. The sisters then created and established The Pilates Center Teacher Training Program in 1991. The school has since expanded to include an Intermediate Program, Advanced Program, Bridge Program, Master’s Program, and a Mentorship Program. In addition, TPC now has “Licensed” and “Host” studios established all around the world. Amy and her sister wrote The Everything Pilates Book, published in 2002. She was a founding board member of the PMA and sat on the board that created the PMA Certification Exam. Recently she has also had the honor of filming classes and workshops for online organizations such as Pilates Anytime and Pilates On Demand. 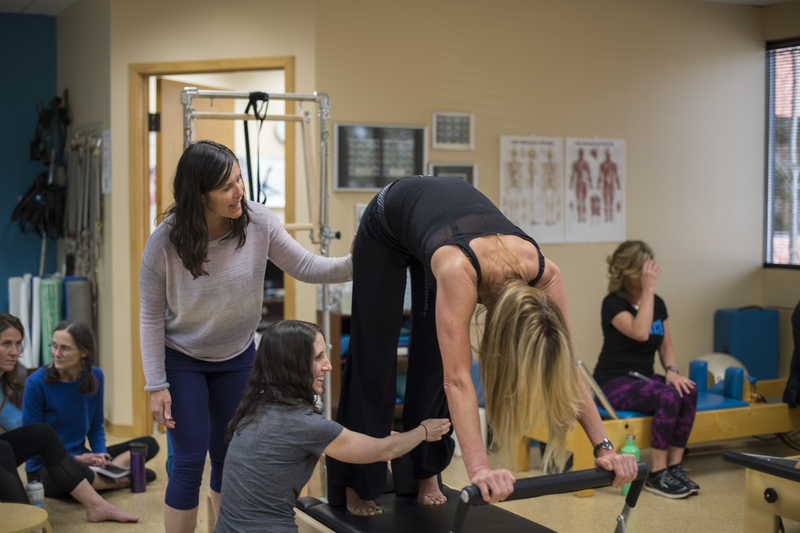 In 2011, Amy, her sister Rachel, and Ken Endelman of Balanced Body, developed CenterLine – a line of equipment designed for classical Pilates and based upon the specifications pioneered by Joseph Pilates. Kaile Larson Ziemba received her B.F.A. in Dance from the University of Colorado. She began studying the Pilates method in 1997 and quickly became hooked. Kaile earned her Certificate of Completion from The Pilates Center Teacher Training Program in 2004 and The Master’s Program in 2008. She has been a Licensed Teacher Trainer at The Pilates Center since 2010. She is a working mom with two young boys. Kaile’s high energy and enthusiasm makes her one of the most requested instructors and teacher trainers at The Pilates Center. Movement is what feeds her soul; movement that heals is her passion. Kaile is a former professional dancer and aerialist. Currently she enjoys rock climbing, skiing, hiking and cycling. Through Pilates Kaile feels more empowered, stronger and more flexible and is able to approach life and movement with more confidence.